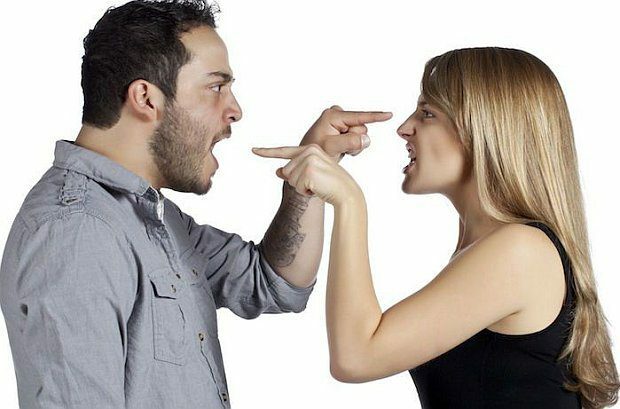 If you have mood swings that are causing spats with your husband, you can learn to deal with them. It’s very easy. First things first—get your partner on board. Learn about the hormonal changes of pregnancy together and try to rationalize your irrationality. Your partner is less likely to take anything you throw at him personally if he knows what’s happening in your body. Learning to support your mood swings, rather than dismissing or escalating them, is a key role for your partner, and should not be underestimated. Remember, too, that while the hormones are affecting your body, anxiety, nervousness, and excitement about impending parenthood are things that you both feel. Indeed, your partner may feel overwhelmed by the thought of an added responsibility, especially if wedding is before you and you need to buy wedding gifts. During your first trimester, the hormonal changes in your body are rapid and raging. It’s a primeval response that ensures you maintain your pregnancy. These surges, primarily in the hormones estrogen and progesterone, upset the chemical balance in your brain, causing neurotransmitters—your brain’s chemical messengers—to switch on and off randomly. And that’s what gives you the mood swings. In many cases, your mood will settle down by week 12. However, some women continue to experience severe highs and lows and may be diagnosed with prenatal depression. This is as common as postpartum depression and can be just as serious. In addition to fluctuating hormones, there are other causes of prenatal depression such as anxiety about your pregnancy, feeling sick and tired, feeling low, previous depression, fear of something going wrong and isolation. If your mood swings are very extreme, or you suspect you may be suffering from depression (and almost 10 percent of women are thought to experience this during pregnancy), speak to your doctor, who will be able to get you the treatment you need. Walk around the block or through a park, even if it’s just for 10 minutes. Fresh air and a change of scenery are sometimes all you need to clear your head. Have a healthy snack since sugar lows exacerbate negative feelings or irritation so keep your energy levels stable. Write a letter explaining how you are feeling. Even if you never send it, it can help to put things into perspective. Knead some dough, make cookies, or make something that involves using some elbow grease. Physical exertion can help you to work through what’s troubling you and may provide an outlet for your pent-up adrenaline.